Little lanes web through Swiss town's downtown. Rooftop courtyard and green space imbedded in Manor, Biel's largest department store where the top two stories are of condo-apartments. The town has many rooftop gardens. He wasn’t making light of war’s devastating effects, but pointing out that architectural opportunity was out there in that cities could be re-imagined into something better. Did it happen? Who knows for sure? Evidence does exist, however, that suggests Europeans have a handle on urban living. Take a Google Maps birds-eye view of a city’s downtown such as Victoria, British Columbia and you will see whole city blocks engulfed in monolithic structures (the street view is more charming, but bear with me for a moment). 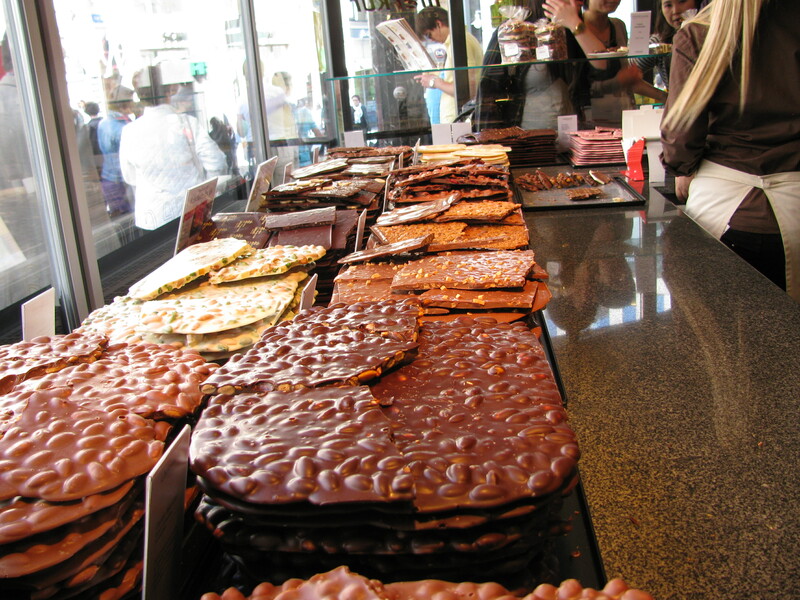 Then, take a Google Maps birds-eye view of Biel/Bienne or even a larger city such as Bern, Switzerland’s capital, and you will see green punching through the heart of the city’s downtown blocks. 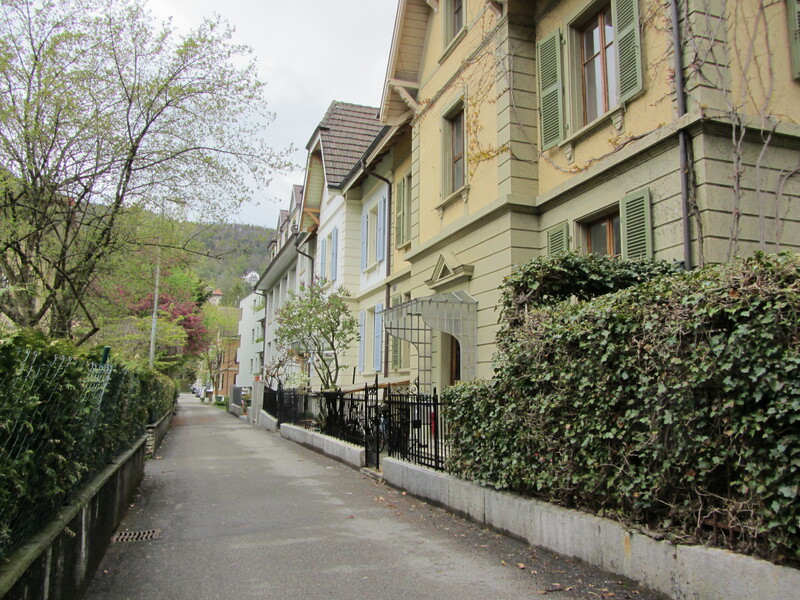 This house, grand by Swiss standards, is tucked between apartment blocks and townhouses. The greenery sprouts from courtyards (both rooftop and ground-level) and rivers of lanes, sometimes so narrow so as to appear to be sidewalks. Often, behind those curb-hugging buildings, one can find hidden villages of smaller townhouses, coachhouses, cottages and even grand homes. I don’t want to damn North American cities with faint praise, but they sometimes seem to be thin on outdoor nooks and crannies. Here, when we bumber about cities of varying sizes, we find any number of them in the form of squares, courtyards, pocket gardens, and parks. It as if the Europeans found urban life so exhausting they were compelled to build plenty of resting spots to get them through their day. This may not be fair. Europe and America may be apples and oranges in such things. Europeans may have more public spaces, but they are more apartment-dwellers so they need them. We North Americans tilt toward spacious suburban life that allows generous private gardens (or trample zones, as our yard was when the kids were growing up). 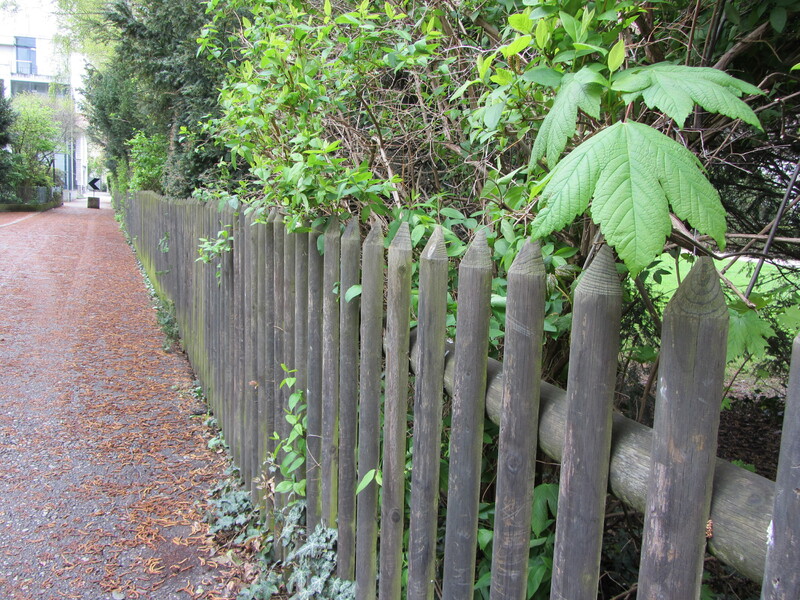 Here’s a peek at a few hidden corners and lanes in Switzerland. 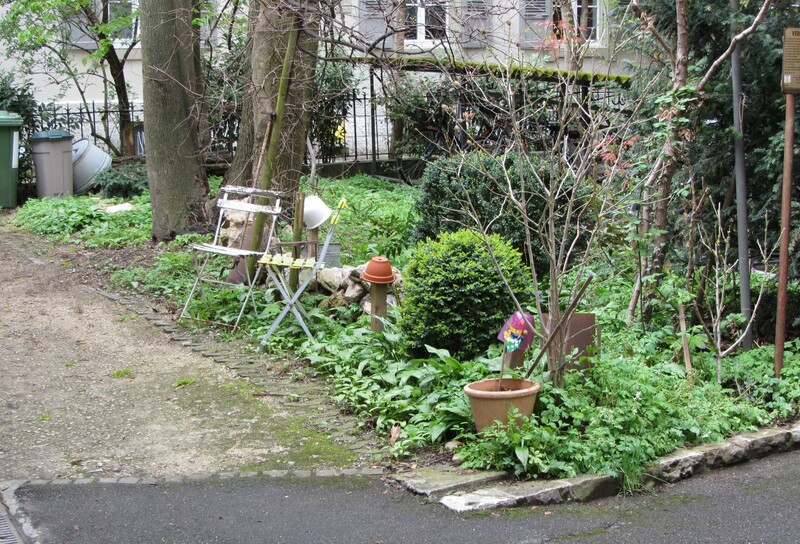 Gardens grow between apartment buildings - some elegantly coiffed, some left to spill over with vines and greenery. 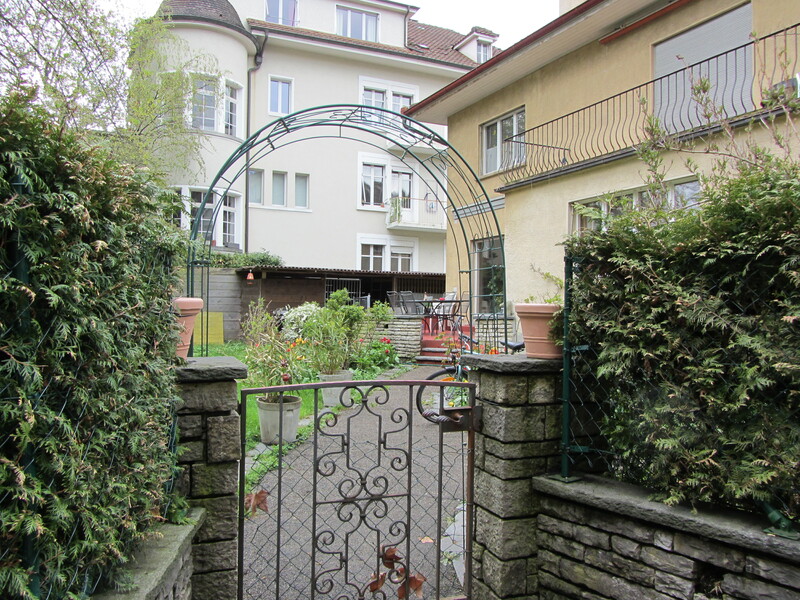 Courtyards are common in our Swiss town. 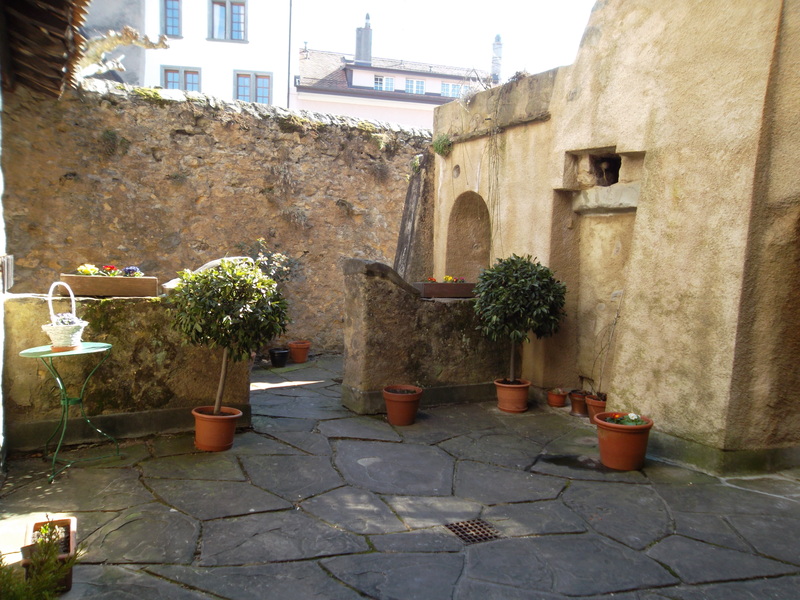 A charming flagstone courtyard that we snuck into while near Lausanne, Switzerland. One of the apartment dwellers caught us poking around, but she was friendly about it. How can you not expect uninvited guests when your front door opens to this?